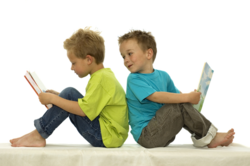 Target Audience: Kindergarten through 5th grade educators.This course is designed for teachers, after school professionals or any educator looking to meaningfully include students in literacy instruction. Many of the strategies, tips and tools learned in this course can be immediately implemented with your students. Course Purpose: The purpose of this course is to support educators that work with students that are English Language Learners by providing them with information about ELL students, strategies for creating a welcoming environment, tools for meaningfully including students in literacy instruction, and guidance on connecting with limited-English speaking families. Upon completion of this course, educators should feel more confident in their ability to support their ELL students. 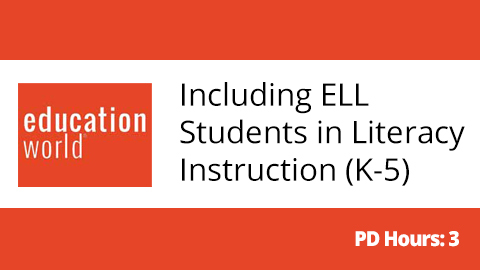 Course Description: Participants of this course will learn not only how to meaningfully include their ELL students in literacy instruction, but also about the outside forces affecting these students, how to find quality literature that best represents them, and tips on how to connect with and support both students and families. Participants will be provided with practical strategies that can be immediately implemented with their students. The course is interactive and includes links to articles and scholarly writings, videos, slideshows, discussion posts, assignments, and instructor feedback. Amanda MacDonnell is a former early childhood classroom teacher and lifelong learner. She is certified to teach both P-3 and K-6 and has been working proficiency in speaking Spanish. She graduated with her Bachelor of Arts in Early Childhood Education and Elementary Education with a focus in Sociology from William Paterson University of New Jersey. She recently received my Master of Science in Curriculum and Instruction from Western Governor's University where she began creating professional development courses. She spent her first few years out of school teaching in early childhood and loved every moment of being an early childhood teacher, especially when she realized how much they were truly capable of. Working in early childhood is where she found a particular passion for literacy instruction and quality literature. She made the decision to leave the classroom while she was in graduate school to work in the private/retail side of education so that she could have the opportunity to work with larger and more diverse groups of students of all ages. She currently works creating classroom library solutions by collaborating with hundreds of publishers to bring schools and teachers quality literature customized to their educational needs.